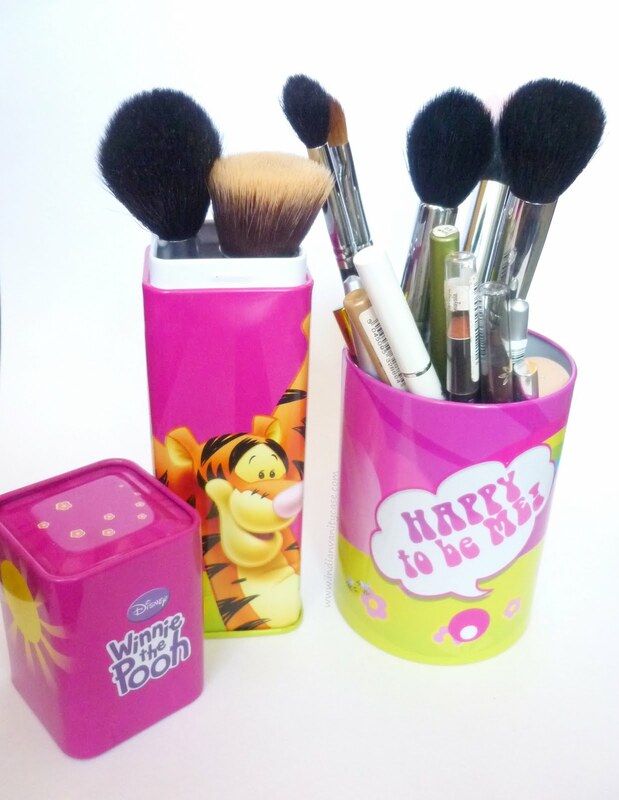 I was at a stationery store last Saturday and couldn't resist buying these cute Winnie The Pooh "Happy to be Me" tin pencil holders. I was just going to get the one on the left, but of course me had to get a matching one too. What? I needed the......sharpener. I got the long one, coz I thought it'd be a good way to store my foundation brush- to prevent dust and such from getting on it. You know, somewhat like the Sigma Brush Kit. Price: The long one with a lid is Rs.79. The other with 2 pencils, ruler, eraser & sharpener is Rs.129. I had this in blue once upon a time! I want more now!! 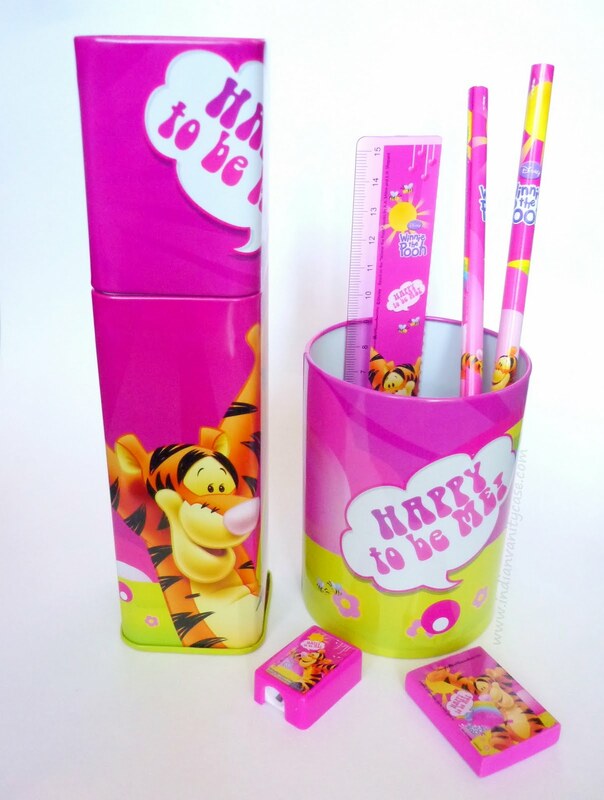 Like you dont understand...i LOVE winnie the pooh the mostest...i have a baby winnie the pooh stuff toy, and a grown up version...i have winnie the pooh books, and notepads ....these are soo cuteeeeeeeeee i want them!! oh...I don't think they are kiddish at all...I myself love my mickey till dat and would love to buy all those mickey mugs available :) they make me happy!!! i LOVE winnie the pooh! really want to watch the new movie thats coming out too! Aww..cute!! Props to you for doing what makes you happy!! des r superr cute !! I think that's super cute! Stationary shops always make me feel like going back to school! LOL. ilovecooking- aww...u can get it again.